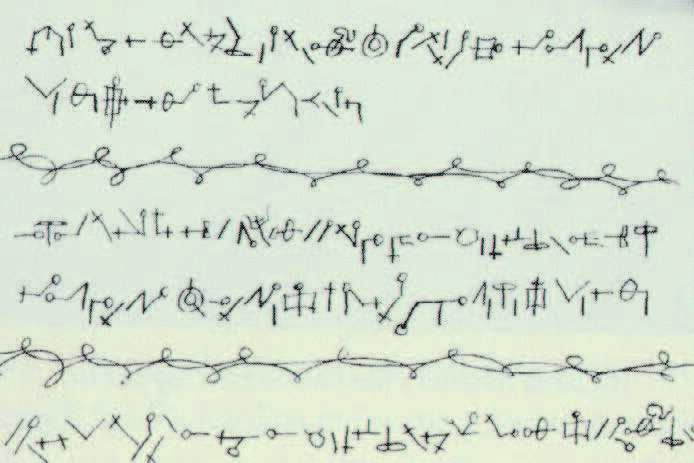 Noah John Rondeau often wrote in code. 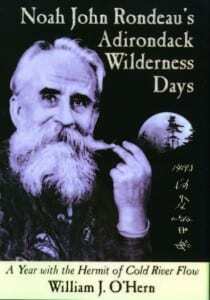 IN 1946, THE ADIRONDACK HERMIT Noah John Rondeau wrote entries in his annual journal in a complicated code. Fifty years later, a recent college graduate, David Greene, deciphered the symbols. Rondeau was fond of nicknames, and some of the journal entries didn’t make any sense until Richard Smith, an old friend of Rondeau’s, helped interpret the cryptic remarks. Next it was William O’Hern’s turn to put the decoded information into a book. Mon. March 25th, 1946 Handsome View. Mild and Somber. 1st Junco. I transplant Daisies. Get few loads Wood. Why the code then? Rondeau enjoyed the mental gymnastics of writing in code, and he does include a few references to hunting game out of season. 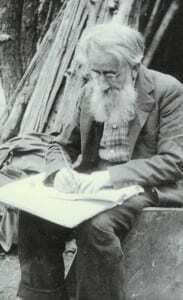 The Cold River hermit didn’t trust authority, referring to the New York State Conservation Department as the “Consternation Department.” If a snooping ranger invaded his backwoods library, the coded journal would baffle him, and that would delight Rondeau. This would be about a ten-page book if it were simply the entries in the 1946 journal. O’Hern bulks it up to 320 pages by including a biography of Rondeau, letters and reminiscences from friends, and over sixty photographs. He also writes explanatory commentary, sometimes too much of it. I enjoyed the way the steady repetition of journal entries followed the arc of a year in the woods. In the winter Rondeau spent time inside his small cabin reading or outside looking at the stars. In the spring he welcomed each sign of the return of warmth, and in the summer he tended his gardens and entertained a constant stream of visitors. In the fall, it was quiet again until hunting season when he looked forward to spending time with friends in a neighboring hunting shanty. In 1946 Rondeau was sixty-three years old, his long beard gone to gray. He’d been living alone in the woods for over twenty years, though he was far from reclusive. He rerouted the Northville-Lake Placid Trail so it ran past his cabin, and he entertained visitors with coffee, conversation, and fiddle music. In photos he is usually smiling or smoking a huge pipe. 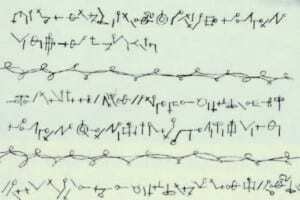 A sample of the hermit’s secret script. 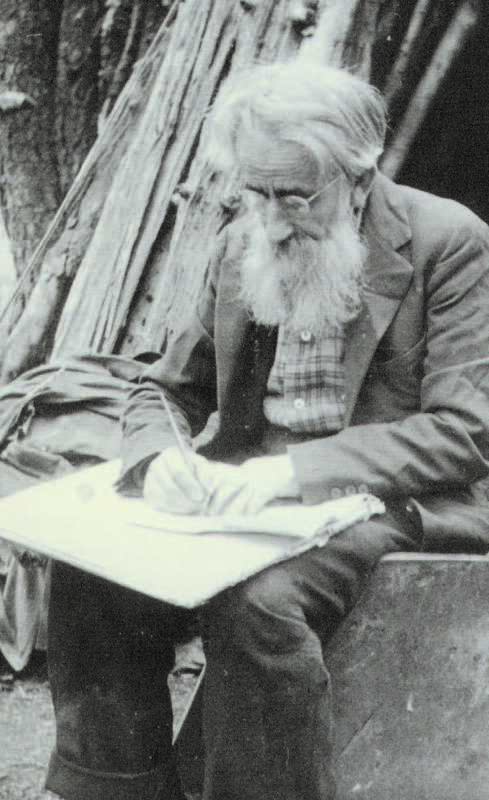 On July 12, Rondeau wrote in code in his journal, “Henry David Thoreau born 129 years ago.” Rondeau admired Thoreau as a fellow sociable hermit and observer of the woods, though the Cold River hermit had to work harder to get through an Adirondack winter. Rondeau spent hours and hours collecting wood that he piled in tall wigwams, and he couldn’t afford to be picky about what kind of wild meat went into his “Everlasting stew”: blue jay, chipmunk, and raccoon carcasses joined the dehydrated vegetables in a large cast-iron pot. O’Hern did a great job putting this book together. He collected excellent photos that appear every few pages and make the book a visual treat. The 1946 coded diary may not include any new insights about Noah John Rondeau, but it does show a man capable and content in his wilderness life.